One of the most tantalizing views of the Cold War era was across the narrow strait that divides Corfu and the wilder scenery of southern Albania. Stepping inside the palazzo is like passing through a time warp. In 1087, a raiding party of nearly 100 sailors from Bari carried off Nicholas's putative remains. The prosperity of the leading families allowed them to spend lavishly on the arts, leaving the city with an enviable architectural and artistic heritage. Berkoff's febrile, high-voltage but exactly measured stage productions normally demand weeks of rehearsal and preparation to create their pyrotechnic effects. The most ancient city in the South Tirol, Bressanone is the most beautiful and best preserved of the larger towns in the province. Hydrocarbons, largely unburned fuel, are a major cause of air pollution. The Este family ruled this walled city on the plain, where the Po flows into the Adriatic, for nearly 350 years. All the great antique civilisations took an interest in cultivating their own gardens. Genoa's cityscape has been formed by its position on a strip of shore hemmed in by an amphitheater of steeply rising mountains. The Auchentallers did much to put Grado on the map. With a host of other problems in the forefront, arts issues were hardly expected to get a look during the build-up to Italy's parliamentary elections this weekend. To dub or not to dub has never been the question in Italy - or not until now. Italy's traffic regulations go back at least as far as Julius Caesar's 'Lex viaria'. It was a rule that the subscribers, who.were scattered all over Italy, should also be contributors. The Benettons are such stuff as the Italian economic miracle was made of. Lamartine declared Italy to be 'not a country but a mirage'. When in Italy, Keep That Receipt! The Guardia di Finanza are not the most popular of Italy's public servants. "I am now in a place the most beautifully romantic I ever saw in my life," wrote Lady Mary Wortley Montagu in 1746. 'I know of no other spot more obviously blessed by heaven,' wrote Franz Liszt. 'Il Vittoriale' is principally devoted to the memory of D'Annunzio and what he styled his 'glorious defeats'. The Trust now has over 120 buildings of all types and periods to let. Mantua rises up on the plain of eastern Lombardy, an implausible, water-girt mirage of rearing walls, domes, spires and towers. His career was punctuated by Indiana Jones-style feats. For two decades Don McCullin photographed almost every major conflict in the world. The cross-country biking sequence is a regular bone-shaker. Not all Bavarians want to spend all their spare time imbibing heroic quantities of their admittedly excellent brews. Long Live the Italian Post! "The others sometimes just drew their stamps directly onto the card or envelope." During the making of Satyricon, Federico Fellini turned excitedly to him declaring: "Pure Fellini". The tall, imposing Pole corrected him courteously: "No, pure Natanson." Born Antonio Allegri in Correggio near Parma in around 1489, he spent his entire career in this out-of-the-way region. Parma has a great deal else to offer beyond Parma ham and cheese. It is only in the past decade that scientists have taken an interest in how it is made. 'For the first time he seemed to see again a familiar world and a habitable country'. The antique ghost town is the most popular single attraction in Italy. Ironically, some of Remondini's cheapest mass-produced prints are now the rarest. Here is the flag of the last papal vessel, the steam-corvette 'Immaculate Conception'. Whether Rome's mile-long central thoroughfare, Via del Corso, begins or ends at Piazza Venezia is a moot point. As a builder and town planner, Sixtus ushered in the age of Baroque in Rome. The Via Appia was the gateway to Greece and the Empire in the East. No street in the world concentrates as much ancient history and present-day activity along a continuous strip as Rome's Via del Corso, familiarly known simply as il Corso. Via Veneto had, by the late 1950s, become not so much a thoroughfare as an ongoing celebrity soap opera. Until 1902 Villa Borghese, which has a circumference of nine kilometers, was still the Borghese family's private property. "No country in the world has so many cultural treasures per square kilometre." The first ancient frescoes came to light when a monk crashed through some rotten floorboards. Below the city's steep hills and winding streets, there lies an extraordinary network of hidden thoroughfares: the 'bottini', which until recently provided the only supply of running water. The first horse to reach the finish, with or without a rider, is the winner. This colorful race was already well-established by the early 12th century. 'Lo spedale', has been for over 900 years this Tuscan hill-top town's principal treatment and charitable center. At the tender age of ten, he was entrusted to a knight errant. The Iceman's unprecedented state of preservation was thanks to the fact that his body was freeze-dried by the sub-zero temperature and the powerful action of the wind. A traveller passing through the Italian South Tyrol one Sunday afternoon in June and coming by chance on Schloss Proesels could be forgiven for thinking they had stumbled on some bizarre survival of the Age of Chivalry. That elusive, gripping, often dazzling genre, 'le travel writing' was on everybody's lips. Federico expressed his reverence for the contents of his codices by spending large sums on their embellishments. The island auctions are open to all comers. Venice's exaggeratedly-long Carnival was inseparably bound up with the theater season. "The colossus collapsed in on itself, sinking down, down, down and swallowing itself up..."
The patient was killed by the cure. 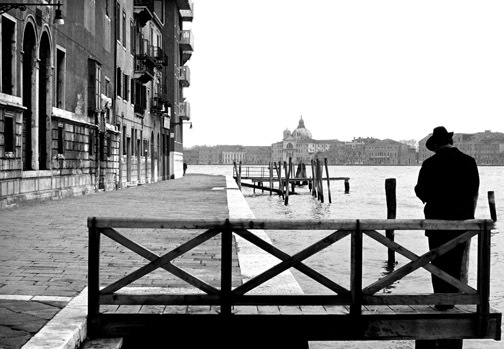 Venice is generally credited with being the mother of all film festivals. Venetian dialect became peppered with words of Greek, Arabic and Turkish origin. Today's lagoon covers an area of over 540 square kilometres; only 29 square kilometres is land in the form of its archipelago of islands. Venice's regattas go back at least to the 13th century. The Ospedali were founded over the centuries to confront varying social crises. The band was founded in the early eighties by self-styled "Sir Oliver" Skardy. Many ancient craft skills looked in danger of imminent extinction. The first two Vogalongas were, if anything, a little too spectacular. Zonin are the largest privately owned wine producers in Italy. In the Middle Ages Franconia was easily Germany's most important wine-producing region. To win the chair at the annual National Eisteddfod cultural festival is the highest honor to which any Welsh poet can aspire. It has only once been awarded posthumously, and that was in September 1917, to Ellis Humphrey Evans, better known by his bardic name, Hedd Wyn. Zeffirelli betrays no signs of slowing down.